These things are magnificently built and you definitely want to go see one. 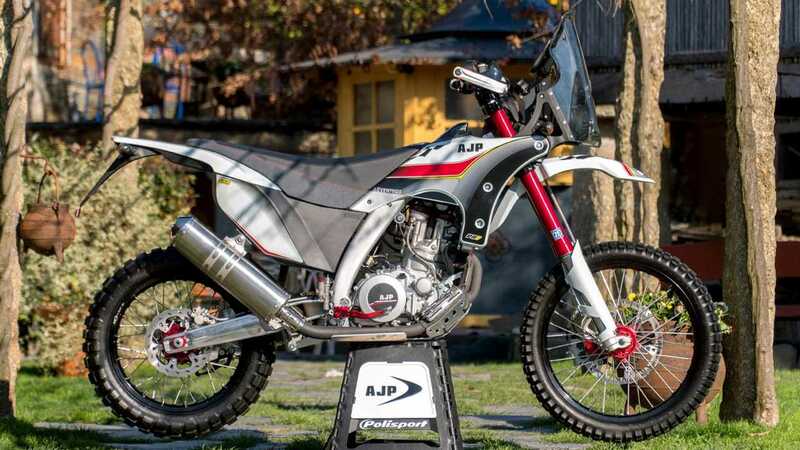 I don’t know about you, but I have been waiting rather impatiently for the road-legal adventure-bending Portuguese AJP PR7 to come to the ‘States, ever since I rolled around on an off-road-only dirtbike of theirs. The fit and finish of these bikes is exquisite. The new bike has been unveiled and it is a scorcher. The single-cylinder fuel-injected DOHC 600cc engine is liquid cooled, and powers the 18 inch rear wheel with a six-speed transmission. It has about a 36-inch seat height so is not for the faint of heart, but that gives it more than a foot of ground clearance. 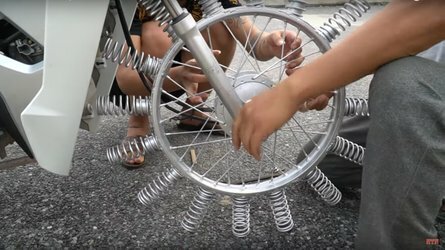 That's plenty to roll over pretty much anything, especially equipped with a 21-inch front wheel. 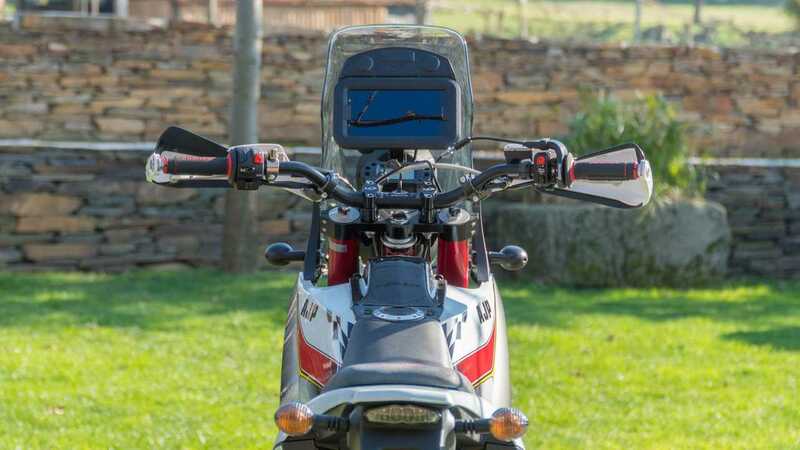 The four and a half gallon fuel tank is under the rider’s seat so the bike is not top-heavy. Fueled up and ready to ride, this bike weighs in at a svelte 365lbs, so I’m not sure you’d even need to worry about where the weight is. The bike ships with a fully-adjustable Sachs suspension front and rear, featuring USD 48mm forks. A very cool touch on the bike is found in the cockpit, where a ruggedized Samsung Galaxy Android tablet not only serves as the bike’s dash, feeding you the typical information like a speedometer, trip meter and tach, but will also run GPS programs, look up the weather; pretty much anything else you’d ask a tablet to do. This worries me a little, since I've watched a whole lot of Android tablets die in my time on Earth, but hopefully it's a replaceable part. AJP dealers in the US run a bit thin, sadly. These days the closest one to me looks like a tiny little spot in Fairfax, VT up near the Canadian border. I’m willing to travel, though. 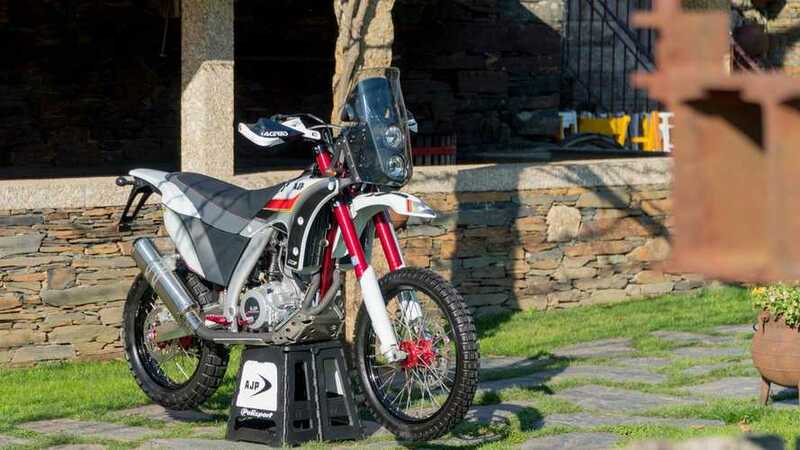 This dirt-leaning road-legal ADV bike, though only available in Europe so far, might just be the KLR replacement some of us (ahem) have been waiting for. 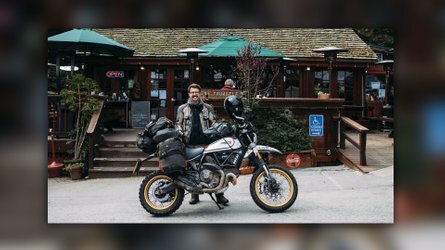 And I can wait, because my KLR ain't dying anytime soon. 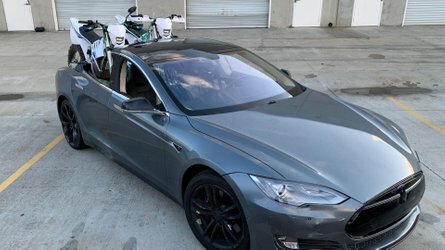 The bike is currently available in the UK for £8500, which translates into $11,225 US, which may or may not reflect eventual actual pricing here. When it arrives, you owe it to yourself to go look, or try one out if there’s a dealer convenient to you. You’ll be impressed. A disclaimer in case you think I'm gushing because I'm getting some kind of kickback: Nope. I wish. I'd tell you. 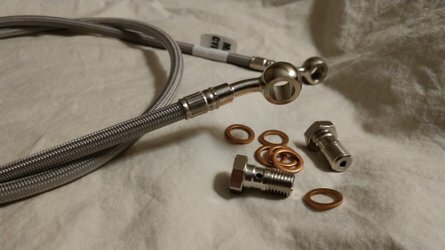 I was just that impressed with their build quality.